RALUCCA is an eclectic home decor and jewelry studio with a mission to create soulful pieces that delight your senses. Every piece is individually designed, narrating a story of its own. Hand crafted with precision using primordial techniques such as hand weaving or metal work, it aims at reconnecting people to the true nature of one’s own being - unique, perfect in its imperfections. RALUCCA was founded by Raluca Ostasz, who finds her roots in the heart of Transylvania, where she grew up in a family of craftsmen. Later, trained as an architect in Chicago, she developed a refined eye for design, craftsmanship and style, all attributes that are the essential seeds for what RALUCCA is today. She brings the same thought process of designing a building into designing products. Structure, order and purpose blend together in an aesthetic expression ready to tell a story. Her belief is that the objects we surround ourselves with should silently tell our personal story. 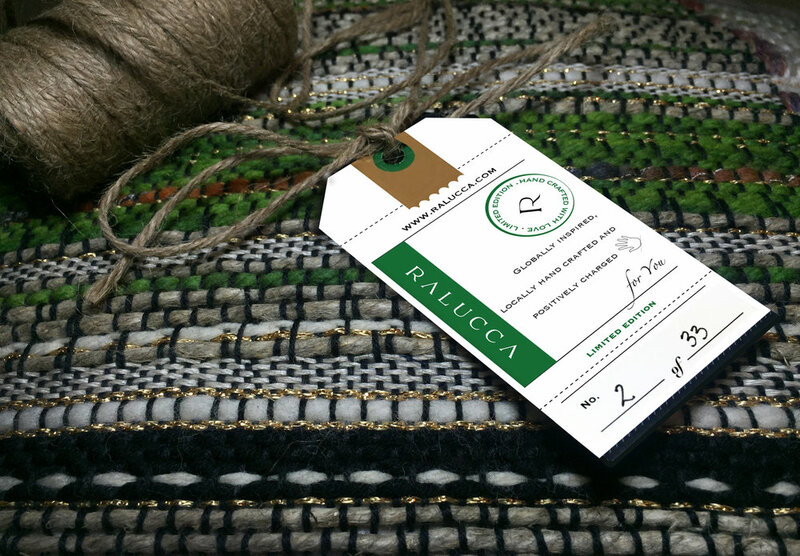 At RALUCCA, her mission is to create products that uplift, inspire and connect us with our true self.